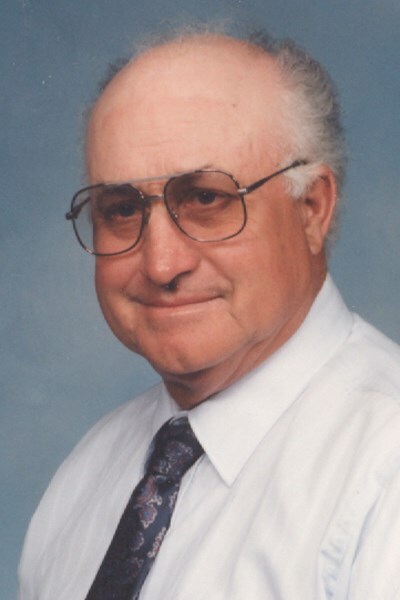 Roy C. Hendrix, 81, of Johnson City, went to be with his Lord and saviour, and wife Betty Jo Hendrix on Sunday, June 5, 2011 at the Johnson City Medical Center. He was a native of Johnson City, son of the late George Hendrix and Leoma Usary. He was a veteran of the U. S. Navy where he served for 6 years. He retired from AFG Industries in the 1980&apos;s and is a co-founder of Mary&apos;s Salads Produce Company. He was a former member of the Chamber of Commerce and the Lions Club. He was a member of Heritage Baptist Church and a former member of Unaka Avenue Baptist Church where he served as a deacon. The highlights of his life was golf and antique cars. Survivors include: two sons, Rodney C. Hendrix and Randall C. Hendrix both of Johnson City; three daughters, Rhonda C. Trivette of Johnson City, Resi C. Heck of Auburn, Alabama and Roanna C. Onks of Johnson City; two brothers, Niles Hendrix and James Usary and one sister, Anna Frances Lunsford; eleven grandchildren and one great grandchild; several nieces and nephews; his special friend and cousin, Margaret Ann Robar. A funeral service is scheduled for: Wednesday, June 8, 2011 at 7:00 p.m. in the South Chapel of the Morris "? Baker Funeral Home, under the direction of Rev. Mike Richards. The family will receive friends from 5:00 p.m. until time of service at 7:00 p.m. A committal service will be conducted on Thursday, June 9, 2011 at 10:00 a.m. The family and friends are asked to assemble at Morris "? Baker Funeral Home to leave in procession by 9:40 a.m. Active pallbearers will be: Mark Hendrix, Paul Trivette, Zachariah Trivette, Ross Heck, Brett Onks and Lee Setzer. Honorary pallbearers will be: employees of Mary&apos;s Salads and Produce. Memorials may be made to: Heritage Baptist Church, 1512 John Exxum Pkwy., Johnson City, TN 37601. We are very sorry for your loss. Roy was a good man and he was always good to us. You all were. And we are grateful to have known you all. You are in our hearts and prayers. God Bless.